With leadership opportunities, four pilot flow through programs and a Gateway Program with UPS Airlines, the career possibilities at Ameriflight are endless. Whether your goal is flying cargo or passengers at either a major or smaller airline, there are many opportunities to advance and grow your career with Ameriflight. Take for example Ameriflight pilot Lydia Kost. Lydia is a Phase 1 participant of the Ameriflight UPS Gateway Program and just took a big step in her career; she recently upgraded from First Officer to Captain. Phase 1 of the program allows UPS Airlines’ Intern Program participants to gain Part 135 flying experience at Ameriflight while accumulating the flight requirements needed to go back to UPS Airlines as a First Officer. The program consists of the pilot reaching various benchmarks outlined by both companies, as well as an internship and a mentorship stage. 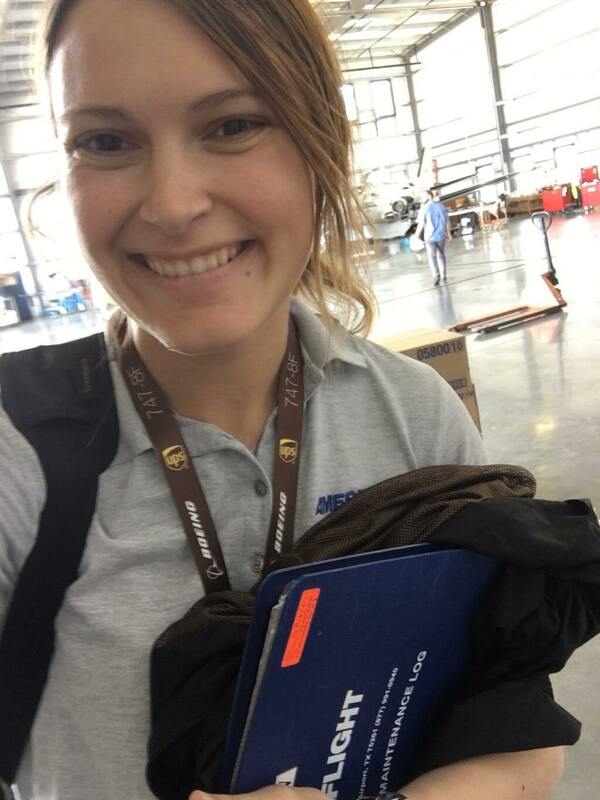 Lydia was finishing up her final year of college in 2017 when she was awarded a flight internship position at UPS. Luckily, Indiana State University agreed to let her finish her final semester online while interning at UPS in the Airbus A300 Flight Training and Standards Department. “My role as the Airbus A300 Flight Training and Standards Department intern was to audit and update training materials, assist in various training activities, and develop new training materials. About halfway through my internship, I became the Lead Intern. In this position, I coordinated, trained, and assisted new interns as they adjusted to UPS,” said Lydia. In addition to her main role at UPS, she was also lucky enough to work in and observe many other parts of the airline, which she says were some of her favorite parts of her internship experience. “Being able to see every facet of the airline itself was my favorite part. I was able to work with Flight Operations, Tech and Safety, the Training Department, Public Relations, Human Resources, the Maintenance Department, the Global Operations Center, and I got to observe a couple hours with our dispatchers, maintenance control, and contingency,” said Lydia. 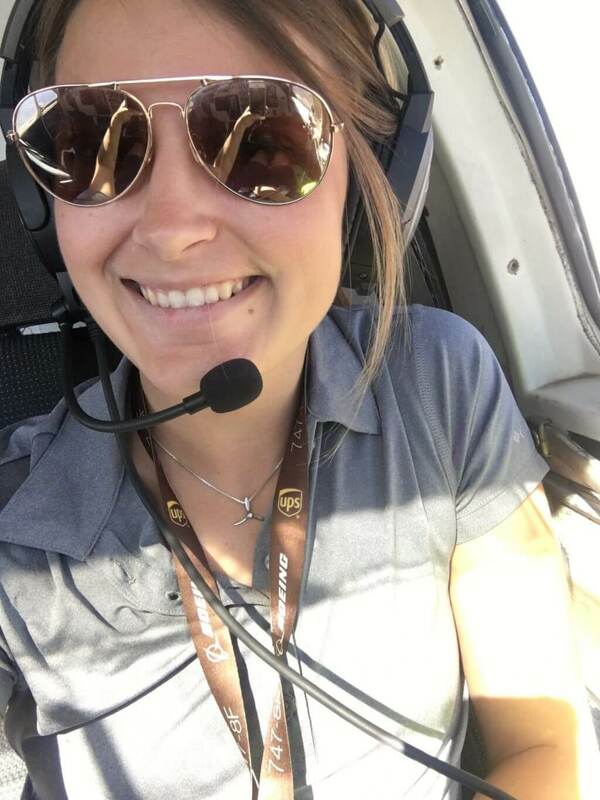 After nine months at UPS, Lydia came to Ameriflight as a First Officer on the Beech 99 and has flown all over the Ameriflight system. In just one year, she was able to increase her flight hours and become a BE99 Captain. “During my time as an FO I was able to learn everything about the BE99 and all of the specifics about it. 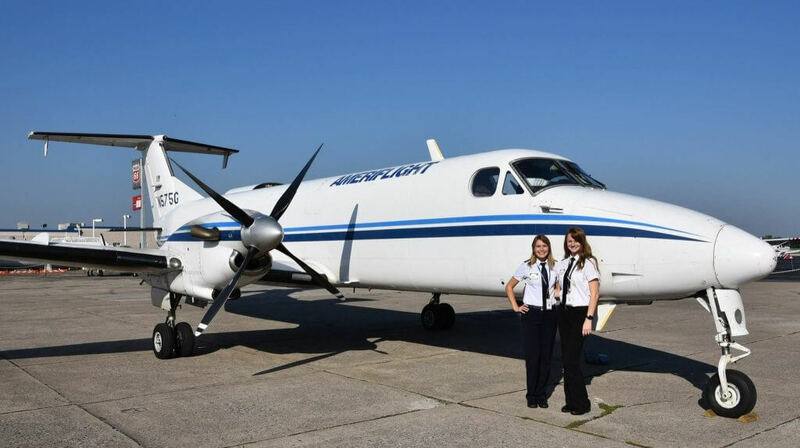 By the time I hit 1,000 hours all I had to focus on was learning the Captain flows and learning how to fly alone in a turbine aircraft,” said Lydia. As with any job, the lessons and experiences are what stick with you the most. For Lydia, it’s her increased public speaking skills and ability to work alongside varying types of people that are her biggest takeaways from UPS. At Ameriflight, she says every time she flies she learns something new. Looking ahead, Lydia still has 1.5 to 2 years before she can potentially go back to UPS Airlines as a First Officer. But in the meantime, she has plenty of goals and things to look forward to at Ameriflight. Besides Lydia, there are currently three other Ameriflight employees in Phase 1 of the UPS Gateway Program. Nikita Nemchuk is an IFR Captain, and Kayleigh Bordner and Elliott Smith are currently First Officers well on their way to becoming Captains. In addition, we have four Captains in Phase 2 of the UPS Gateway Program – Ian Doolittle, Stephen Graham, Neal Christiansen, and Sarah Hardie are in the final stage of the program and are expected to finish in early 2019. Ameriflight is also looking forward to two new UPS interns coming in August as First Officers.